Recent release “The Methuselah Method” from Page Publishing author Barbara Walker is a riveting story that follows the search for a lost woman thought to be victimized by a stranger through the Internet. 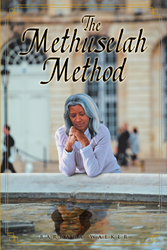 Barbara Walker, a loving mother of three and an avid reader, has completed her new book “The Methuselah Method”: a gripping narrative that follows a police investigation that leads to the discovery of a vanished widow. Published by New York City-based Page Publishing, Barbara Walker’s rousing tale narrates a thrilling flow of events that gradually leads to the solving of a sinister abduction and an all-out effort to save the lost woman before it is too late. Readers who wish to experience this enthralling work can purchase “The Methuselah Method” at bookstores everywhere, or online at the Apple iTunes store, Amazon, Google Play, or Barnes and Noble.